At Guitar Tricks® we make learning how to play songs a lot of fun! Our instructors cover every section of the song slowly at first, and once you get each part down you get to play along with a professional backing band! For difficult songs we offer a 'Songs Made Easy' version for beginners, which is simplified to the basic chords and one guitar part. Each song includes accurate guitar tabs as well as standard music notation. Anders will show you this classic Southern Rock anthem in a version that has been made easy, so you can hang at any level. This is a really fun song that almost everyone knows, and it features three basic chords repeating throughout the whole song, so if you can learn and perform even the simplest version of it, it is bound to pay off. In this song tutorial, Mike Olekshy will be tell you no lies as he teaches the southern rock hit, "Keep Your Hands to Yourself", by The Georgia Satellites. After looking at the gear and tones, Mike will dig in to the intro riff and the role of guitar #2. Next up is the first short solo, then the main solo and the rhythm underneath. Then we'll examine the lead double stops, and the outro lead licks. Lastly, Mike will play the song through in a play-along, then we take out all the guitars so you can play the parts yourself to the backing track. 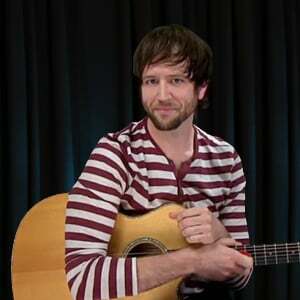 Mike will show you to use an acoustic guitar to strum along with the band in a "made easy" format, using open chords and barre chords to play the chord progressions with a simple strumming pattern. 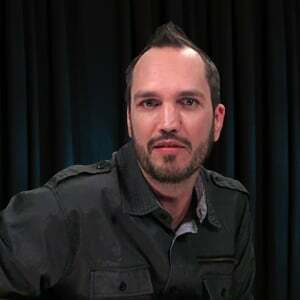 In this song tutorial, Mike Olekshy will teach you "I Want To Break Free", as made famous by Queen. We'll start with an introduction to the song and talk about gear and tone, then plunge into the intro crunch and harmony elements. Next up is the acoustic guitar in the verse, followed by the bridge crunch, harmony, and acoustic parts. We'll look at the interlude acoustic part before we move on to the play along performance, then you'll take over for the jam along. 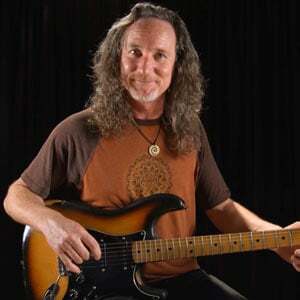 In this nine lesson tutorial, Tom Finch will guide you through the various parts of the classic rock hit, "Don't Fear the Reaper" as made famous by Blue Oyster Cult. We'll examine the gear and tone, the classic hook, the pre-chorus and chorus chords and structure, tasty fills in the chorus, the intriguing form in the song and solo, the final chorus, and a play along at the end. Get out your cowbell! In this song tutorial, Mike Olekshy will teach the grunge classic "Heart Shaped Box", as made famous by Nirvana. Mike will break down the hooky main riff for you, after talking about the tones. Then he'll teach the heavy distorted chorus part; after that he'll break down the melodic solo. He'll do a full song performance for you to play along with, then we have a video with the backing track only so you can jam with the track! 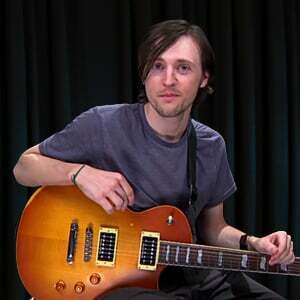 Mike will show you the 2 electric guitar layers. Guitar 1 is an acoustic guitar that drives the tune. Guitar 2 is a clean electric guitar that plays a melodic lead and some simple strums in the outro. 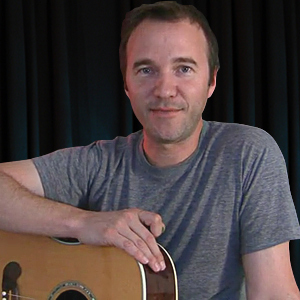 Mike will teach this tune with a beginner approach using a made easy acoustic guitar part to strum along with the band. The song uses a standard blues form. It features a 12 bar verse section that gets played over and over throughout the arrangement. "More Than Words" was made famous by Extreme in the early 1990s. This is a beautiful tune, done as a duo with acoustic guitar and great vocal harmonies. We'll look at the form and chords, the percussive right hand technique that lays down a backbeat, the harmonies, and play it all through in a jam along performance at the end. Get your love beads on and learn to play this fun and easy classic. We opted for a simple approach to this song, so we'll be delving into a solo guitar version by Janis Joplin. We'll look at the chords, strumming patterns, and guitar work...and we'll also look at the overall song structure, and what it is that makes this "cinematic" country song "tick". 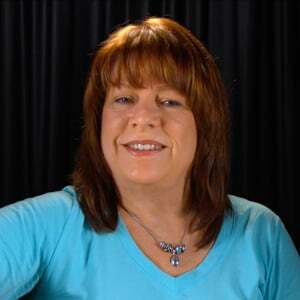 In this tutorial, Caren Armstrong will teach "Kiss From A Rose", as made famous by Seal. 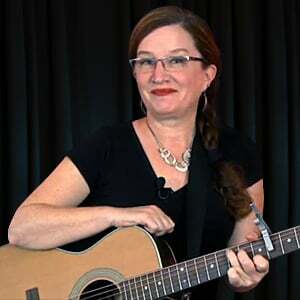 Caren will introduce the song, then go over the "big picture" fundamentals you should know: the key, the chords, the strum, the finger picking, and the song form. Then it's on to the verses and the variations in each. You'll learn the chorus next, then the transition, the bridge, and the song ending. We'll end with a play along performance and a jam along. Drive was a hit in the 90s- an alt-rock blend of acoustic guitar and hip-hop rhythms. We'll look at the structure of the song, show you how the song was written and performed on acoustic guitar. Drive incorporates jazz chords, a hip-hop rhythm, and a hypnotic slide guitar solo that is saturated by effects! Blind Melon's "No Rain" is an early 90's hit that has one of the most memorable guitar hooks in rock-n-roll. While the hook itself is an essential part of the song, there are also other guitar parts within the track that are equally as exciting to learn. In this tutorial, we will give you a step by step look at how to play the melodies, acoustic guitar parts, and guitar solos within this famous song. In this tutorial, Henrik Linde will teach "Back in the U.S.S.R.", as made famous by The Beatles. We'll introduce the song and talk about gear and tone, then learn the lead and rhythm in the song intro. The verse rhythm is up next, then we'll look at the chorus parts before breaking down the bridge. We'll detail the cool solo, then head to the outro, then do full and single guitar performances. You'll take over in the "guitar karaoke" jam along. Mike will show you the 2 guitar layers in this song. Guitar 1 plays all the rhythm riffs with a high gain tone. Guitar 2 plays an extra high gain riff in the intro, and a tasty melodic hook with a clean tone throughout. 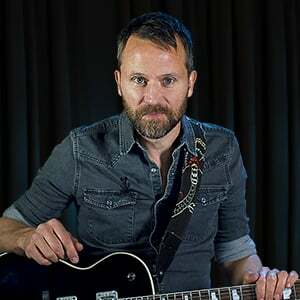 In this classic rock song tutorial, Anders Mouridsen will show you all the parts to "Mississippi Queen", as made famous by Mountain. 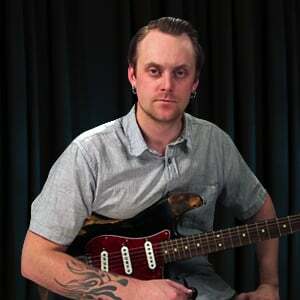 After talking about the tones, Anders will teach you the intro riff, rhythm and solo. You'll then learn the verse which is loosely based on the 12 bar form and continues throughout the song. Anders will teach the lead fills and main guitar solo, then conclude with a play along and you take over in the jam along. In this set of lessons, Anders Mouridsen will teach you "Tush", by ZZ Top. After giving an overview of the song and talking about the gear and tones, Anders will dive right into the main intro riff and the verse. The we're on to the slide solo in two parts, followed by solo #2. The we'll look at how to play all the parts using one guitar, to help in playing this song live. We'll end with a play along, then you take over and jam by yourself with the backing track. "Living After Midnight" is a metal classic from the early 80's that is considered, along with many tracks off of the same record, to be the beginning of heavy metal. 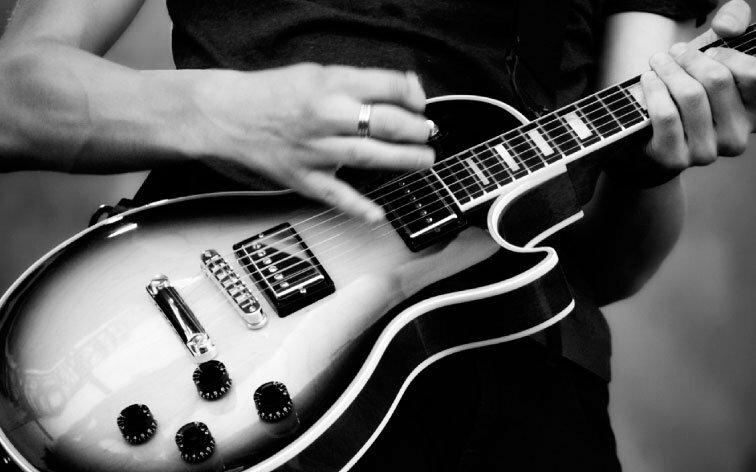 In this tutorial, we are going to break down how to play this metal classic into a series of video lessons including the rhythms and power chords, the progressions, and the guitar solo. "Angel from Montgomery" is a modern country blues standard. There are countless covers of this song which is a strong indicator of the universal quality that a truly classic song holds. It has the type of lyric that could fit any singer of any age, and it has a harmonic structure that is simple yet distinctive, and like many standards, can be interpreted in countless ways by countless artists. In this set of song lessons, Lee Wanner will teach you "That's All Right", by Elvis Presley. Lee will clue you into the overall song and the gear and tones, then launch right in with the acoustic intro, followed by the verse and refrain. Then it's time to look at the electric guitar: first the rhythm elements, then the solo, and finally the outro to the song. We'll conclude with a play along, then you'll take over in the jam along. Upgrade to Full Access To Unlock All Lessons! Try it for 60 days risk-free. Only pay if you learn guitar.